Time Bank needs you. Will you help to increase the number of skills and services cataloged in the Mahoning Valley Time Bank data base? Person to person conversations are great to tell people about the Time Bank and increase members. Weaving connections among friends and associates in a skill archive data base is actively, engaging and building a mutual support system. Face to face is the first step to organizations being engaged. Yet, another efficient outreach is encouraging different organizations (See above graph) to use the service exchange on line data base. It’s through working together that will help people and organizations meet their goals. Here’s how you can help with “all in this together” outreach efforts, for example, send this page to everyone that you know living or working in the Mahoning Valley. Please use the social media buttons on the bottom of the page. Message your Facebook time line, your email associates, and anyone that you know that could benefit by joining our Time Bank? Lets get the word out! Edgar Cahn and Chris Gray in KENT, OH! Dr. Edgar Cahn, founder of TimebanksUSA, is making a special visit to Kent on Saturday, June 29, to meet with members of the bustling Kent Community Timebank, other regional timebank leaders and area residents interested in learning about the alternative currency system that’s sweeping the nation. The free public event – sponsored by KCTB and the Kent State University Department of Sociology – will be held at the United Church of Christ, 1400 E. Main St. in Kent. At 4 p.m. Cahn and his wife, Dr. Christine Gray, will kick off a give-and-take exploration of timebanking with audience members. 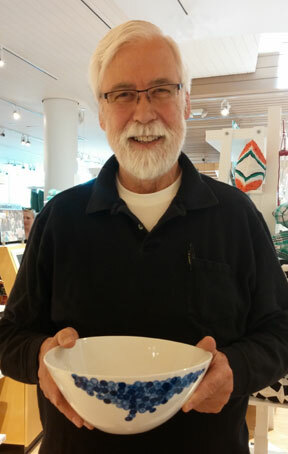 A potluck dinner will follow at 5:30 p.m.
Abby Greer, executive director of the 500-plus member KCTB, said she is both thrilled and humbled that Cahn – often referred to as “The Father of Timebanking” – and Gray are coming Kent. Greer is referring to Cahn’s 1992 book “Time Dollars,” which inspired her in 2010 to found the Kent timebank. Since then, Greer has introduced more than 500 Kent-area residents to the system where members can share and receive services, skills and goods for the currency of time – and everyone’s time is valued equally. “While Edgar Cahn did not create the concept of timebanking, he did, in his book, explain how humans are designed to share resources and how we seem to have completely forgotten that the power of community cannot be matched by the aspirations of personal wealth,” she explained. Greer theorizes that KCTB is one of the nation’s top five most-successful timebanks – based not on membership numbers, as there are several U.S. timebanks with more than 700 members, but activity levels. “I don’t have data to back that up but, from what I see over social media, our timebank is the most active, the most vibrant and making the most exchanges on a daily basis,” Greer said. As of today KCTB has 509 members who hail from Kent and 12 other area towns. Among those members are 16 non-profit organizations and eight businesses. In the past three years, KCTB members have made 6,645 exchanges totaling 17,310 hours (or time credits). In May 2013 along, KCTB members made 455 exchanges totaling 1141.75 hours (or time credits). That works out to about 14.4 exchanges and almost 37 hours (or time credits) each day in May. 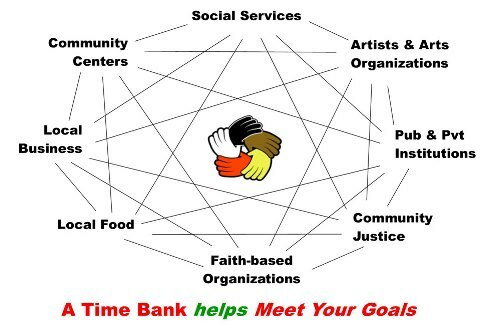 KCTB has spawned the creation of the ever-growing Twinsburg Community Timebank, a hub of KCTB. Do you have a Time Bank, service exchange, or community currency question or comment? Click the “comment” button in the upper right corner and post your question or comment, or reply in the text box below. Looking forward to hear from you.